How to Make a Deposit at a Betting Site? Before anyone can wager online they need to deposit money into their sportsbook account. Bettors can use dozens of deposit methods when funding their account, but the number you can use will depend on where you live. Some countries can use just about every deposit option available to bettors while other countries may only be able to use a few deposit methods. One of the worst countries for depositing money to an online sports betting account is the United States. Credit cards will work in the USA still at most US bookmakers, but there aren’t any suitable e-wallets to use. If you live in the UK, Europe or Canada you can use lots of different deposit methods ranging from credit/debit cards to vouchers that you can purchase at gas stations. What bettors want to know when depositing to online sportsbooks is that there money and personal details are kept safe. The deposit methods listed below are handpicked by us and are the best deposit options to use. The deposit methods listed below are the most commonly used methods in the industry and are all completely safe to use as long as your country isn’t restricted. 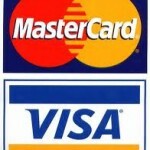 • VISA Betting Sites: VISA is the most popular credit card and accepted at every sportsbook. Most bookmakers don’t charge fees for credit card deposits unless you live in the USA. 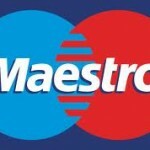 • Maestro Betting Sites: Most UK and European bookmakers accept Maestro debit cards. Bettors that have a Maestro debit card will be able to deposit and withdraw funds from their sportsbook account seamlessly without fees. • Paypal Betting Sites: Unfortunately, Paypal can only be used by bettors in a small number of countries. Paypal is the biggest e-wallet in the world, but only bettors in the UK and some European countries can use Paypal for betting. • Neteller Betting Sites: Neteller may not be in the US market anymore, but Neteller is still one of the biggest e-wallets in the world. 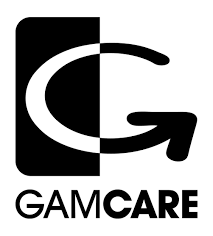 Bettors in most countries can sign-up for a free account and begin betting with the account once funded. • Skrill Betting Sites: Skrill (AKA Moneybookers) is the other leading e-wallet that caters to just about every country except for the USA. Skrill is widely accepted by sportsbooks and deposits are always processed instantly. • Bank Wire Betting Sites: Most sports betting sites accept bank wires although in some cases there are fees, so make sure you find out whether or not there are fees associated with bank wire deposits at the bookmaker you bet with. Choosing a suitable deposit method for betting is important when starting out. You also want to consider how you want to be able to withdraw your funds. 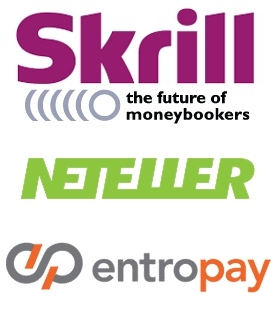 With e-wallets like Paypal, Neteller and Skrill you can receive withdrawals within 24 hours from a lot of bookmakers. Once the money hits your e-wallet you can withdraw the money to your bank or have a cheque issued. If you can use e-wallets we definitely recommend doing so because it makes your life much easier.